You can stay on top of your summer reading list without feeling burdened or overwhelmed. Required summer reading is something high school students often dread doing. However, there are a few ways to make this task more manageable. Take the following advice, and you may feel less daunted by the texts that await you. The key is to not overwhelm yourself this summer. You can avoid stress by reading a small amount each day, which can add up to quite a bit. Aim to get through about 15 to 20 pages of reading daily. If you read less than this amount, you may advance too slowly with the text and forget previous material. Tailor your reading schedule to your personal needs. You may choose to read 10 pages in the morning and 10 more at night, or you may choose to read all 20 pages in one sitting. If you will have ample free time this summer, you can even try to read more. Whichever schedule you design for yourself, make sure it is realistic. Set manageable goals you are more likely to reach. There is a great deal of study materials online that may be relevant to your required summer reading. Some students feel they should not look at online summaries or study guides because they view it as a form of cheating. However, there is nothing wrong with consulting such resources, so long as you do so after completing the readings alone. You should not review study materials in lieu of doing assigned readings; rather, use these helpful materials to supplement and test your knowledge. If you do consult online study materials, use sound judgment. Do not believe everything you read on the Internet. Sometimes website authors are misinformed, or they may purposely give summaries their own slant. Therefore, it is best to consult well-known webpages with a positive reputation. One of the best ways to stay on track this summer is by working together with your classmates. You can form a study group with students who must complete the same required reading as you. Try to keep the group small (between two and five members), as large groups tend to be easily distracted. Choose a peaceful yet motivating location at which to meet. Finally, agree on a reading timetable and meet with your classmates on a weekly basis. It is advisable to treat your study group as if it were part of a formal class. You should discuss the readings together and exchange interpretations. You can even quiz one another on the material, take practice tests, or write timed essays. When you belong to a study group, you feel accountable to the other members. This may help you to stay on top of your work. It can be easy to lose your rhythm and motivation if you work alone and without a support network. 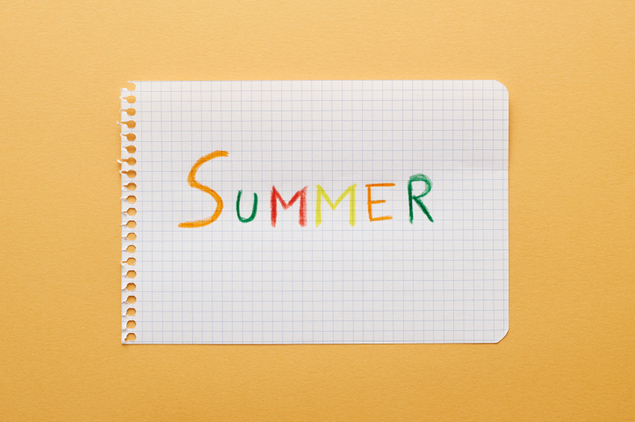 Required summer reading can feel bothersome, but many students must do it. Take a deep breath, get organized, and start working. It will be over before you know it! Tiffany Sorensen is a professional tutor and contributing writer for Varsity Tutors. She holds a Bachelor's degree in Spanish Language & Literature from Stony Brook University.